Slowly but surely everyone’s catching on that beauty starts with what you put inside your body, not just on your body. A balanced, nutritious diet can make your complexion glow and stave off skin blemishes and imperfections. Eating healthy doesn’t necessarily mean having a fridge stocked with fruits and veggies at all times, or cooking all of your meals at home. 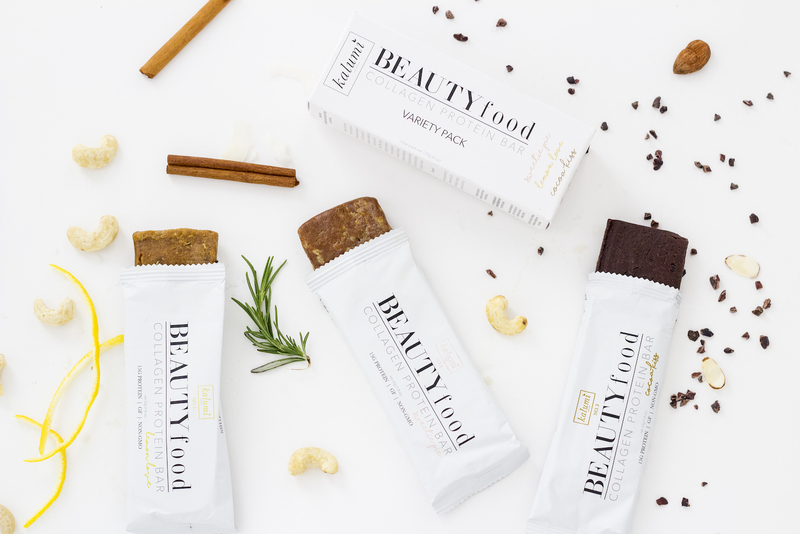 You can eat well on-the-go with Kalumi BEAUTYfood, a new brand of travel-friendly bars filled with ingredients such as marine collagen, lemon, organic yacon syrup, sweet potato, coconut and cacao. All ingredients are gluten-free, non-GMO, non-dairy, soy-free and devoid of fake ingredients. 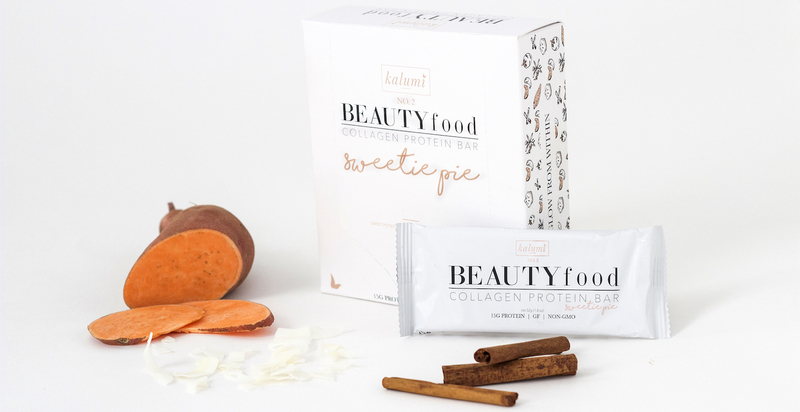 Founders Jayla Harnwell and Chrissy Blair, both models, came up with the idea for Kalumi when they were constantly eating low-nutrient food and it was starting to take a toll on them physically. Their hair was thinning, their skin blotchy and dry and they felt exhausted all the time. They started making their own bars at home, wrapping them in foil to bring on planes and to shoots, when they realized they had a business idea. The timing for Kalumi is perfect, as supplements are poised to be huge in the beauty industry according to Business of Fashion. Dietary supplements are projected to generate $220.3 billion by 2022 and beauty supplements are a growing niche in that sector. One of Kalumi’s main ingredients, marine collagen, is also generating a lot of buzz. In our bodies, collagen supports elasticity in skin, helps you develop strong hair and nails, and ensures the health of joints and bones. Collagen makes our skin feel plump and many beauty products promise to stimulate collagen production, although it is often questioned to what degree that can be done through just applying a cream. Ingesting collagen on a regular basis through food may be a more certain way to ensure your skin is glowing and firm longer. 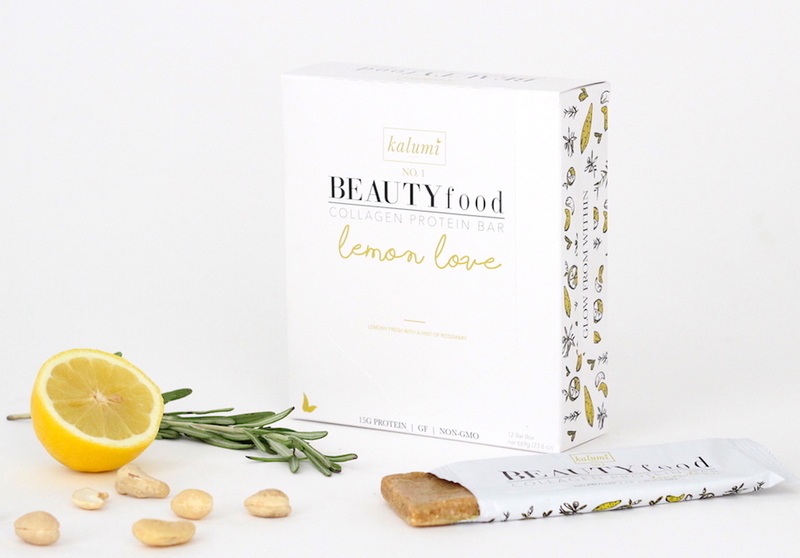 Currently Kalumi bars come in three flavors; Sweetie Pie (a collagen protein bar mixed with sweet potato, coconut, vanilla and spices that will remind you of gingerbread cookies), Cocoa Kiss (a rich chocolate brownie fortified with marine collagen and crunchy cacao nibs) and Lemon Love (a marine collagen protein bar that is zesty, savory and sweet). Buy them here.